Planning on developing a new WordPress website? Well, you probably be looking for a theme that best suits your website requirements and needs. As a matter of fact, WordPress has proven to be the most popular and most preferred content management system since its inception in 2003. Nearly 24% of websites are powered by WordPress today and the number is still growing. With the popularity of WordPress being growing with the passage of each day, new themes are being developed by WP contributors and volunteers around the world. Therefore we have pulled together some of the best responsive WordPress themes to help you develop an attractive and fully-functional websites. Make your website sparkle with this modern, stylish and sophisticated WordPress theme. Sparkling theme is developed using latest bootstrap technology. The theme boasts of responsive design layout and makes your website device-friendly. The theme also features a handful of outstanding features such as full-screen slider. Sparkling comes loaded with many amazing plugins like W3 Total Cache, SEO by Yoast, Gravity Forms, contact form 7 etc. 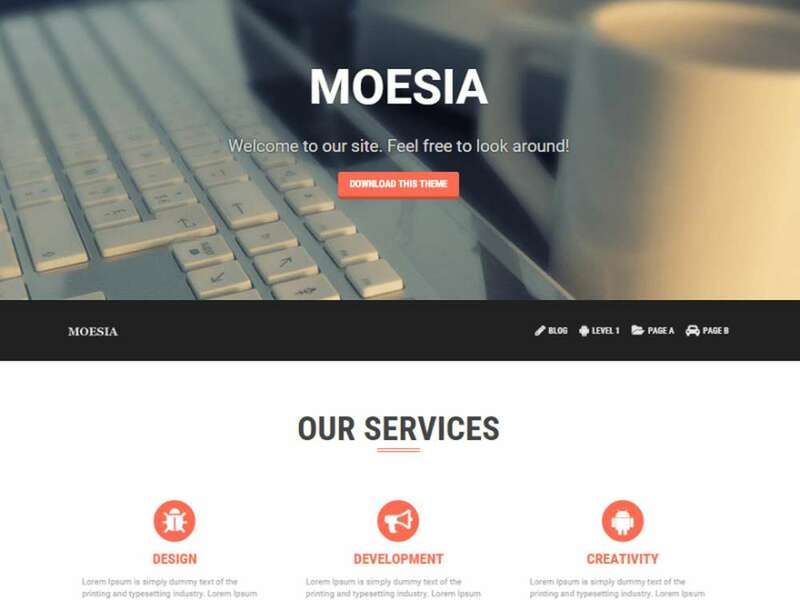 Moesia is a powerful WordPress theme that has a beautiful design and impressive features. It is a business theme which helps you build an attractive website. The theme features a parallax background color and image amalgamated with animated effects. Additional features include Google Fonts, animations and much more. 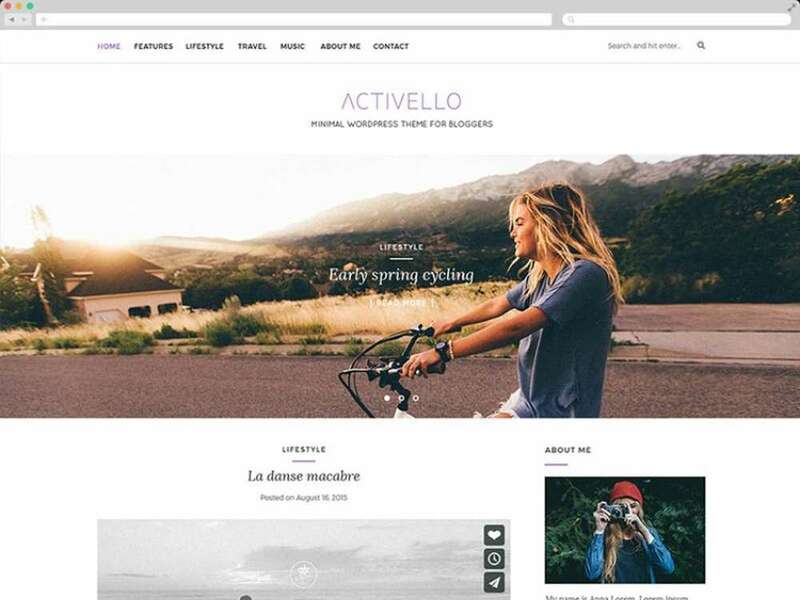 Activello is a versatile, stylish and modern WordPress blog theme ideal for photography blogs, travel blogs, personal blogs, fashion blogs, food blog and other magazine style sites. The theme is developed based on the latest bootstrap frontend framework. Activello features a responsive layout and highly customizable design. The theme supports various popular plugins including Jetpack, W3 Total Cache, SEO By Yoast, Gravity Forms, Contact Form and much more. 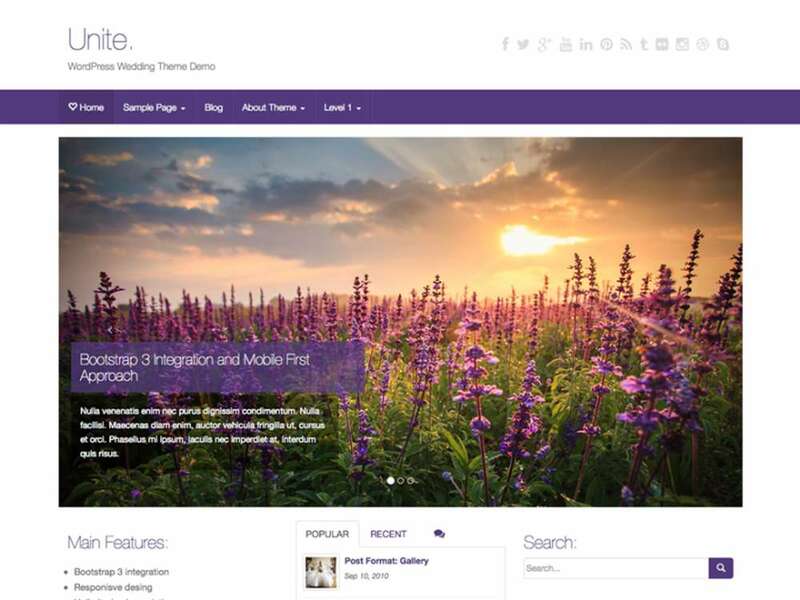 Unite is an impressive WordPress theme that has fully responsive design layout. The theme is developed using the latest bootstrap 3 and offers user-friendly and minimalist framework for the website. The theme has highly customizable layout and allows you to customize certain aspects such as fonts, navigation bar, footer and much more. 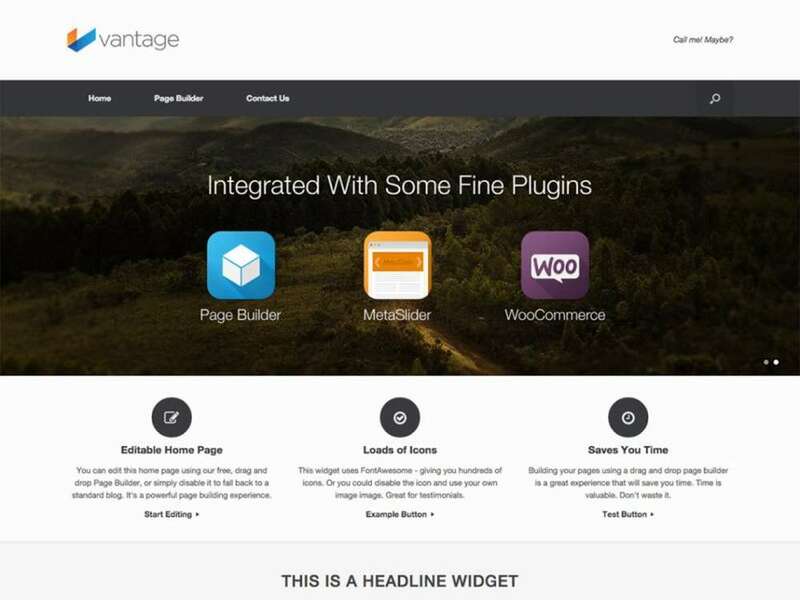 Vantage is a stylish, minimalist and modern responsive ecommerce WordPress theme ideal for developing business websites. The theme boasts of outstanding features that can be found only in premium themes. The theme comes with drag and drop page builder that helps you create webpages easily and conveniently. Vantage also comes integrated with WooCommerce to help you develop online store for your business. 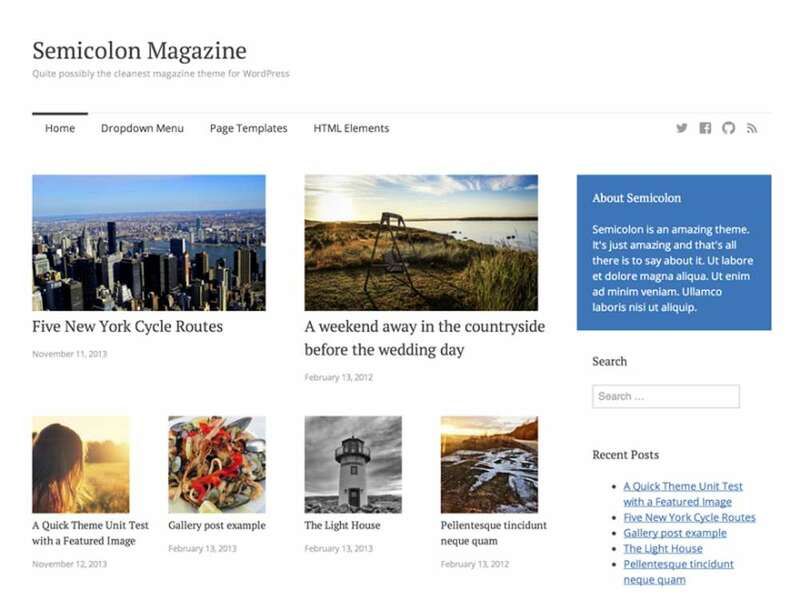 Semicolon is an impressive and beautifully designed WordPress theme. The theme has magazine styled design which makes it ideal for create different types of blogs. Semicolon has a responsive and highly customizable layout. It supports 2 menus – a social menu and a primary navigation menu. Opulus Theme is a versatile, modern and responsive WordPress theme that adapts to different screen size. The theme is built using bootstrap front-end framework. The theme comes with theme options that let you customize certain aspects of the theme including design, colors, fonts and much more. A1 is a fabulous WordPress theme with one-click installation feature. The theme has been downloaded more than 14,000 times. The theme is extremely lightweight and has ultra fast loading speeds. A1 is SEO-friendly, user-friendly, responsive and highly customizable theme. The theme comes loaded with many SEO friendly plugins and supports other popular plugins. Additional features include 6 pre-defined color schemes, preferred Google fonts and much more. Mystile is a clean, modern and responsive e-commerce WordPress website that is available absolutely free of cost. 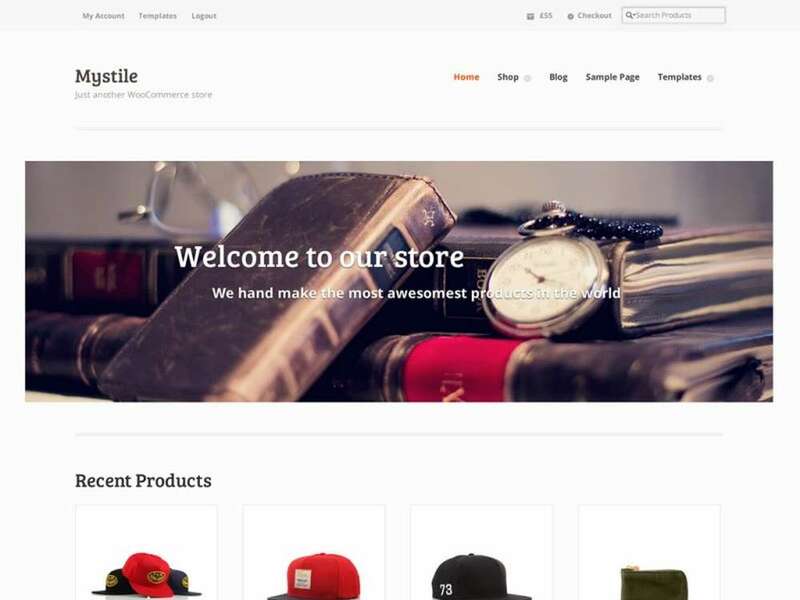 Mystile is a Woocommerce integrated theme, which is designed with unique layout idea for developing business websites and ecommerce sites. Additional features include custom widgets, threaded comments, custom page templates, several color schemes, custom homepage and much more. 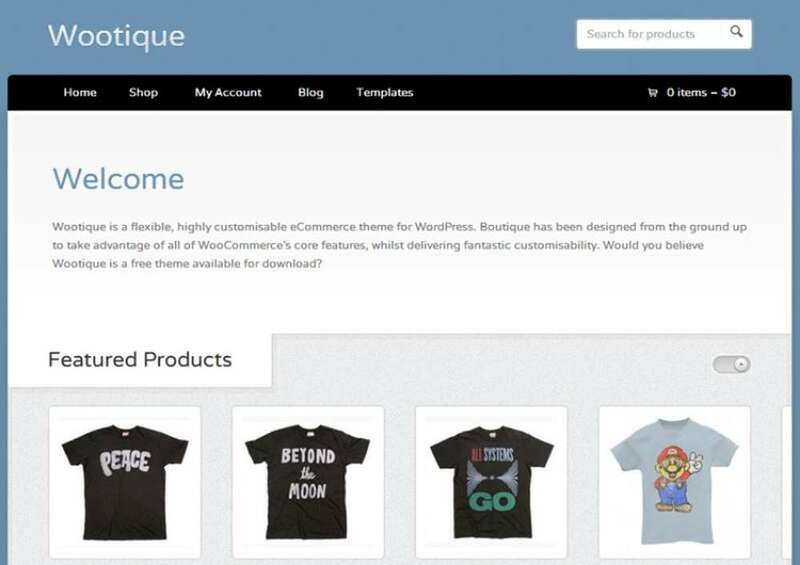 Wootique is a stylish and minimalist Woocommerce integrated WordPress theme. 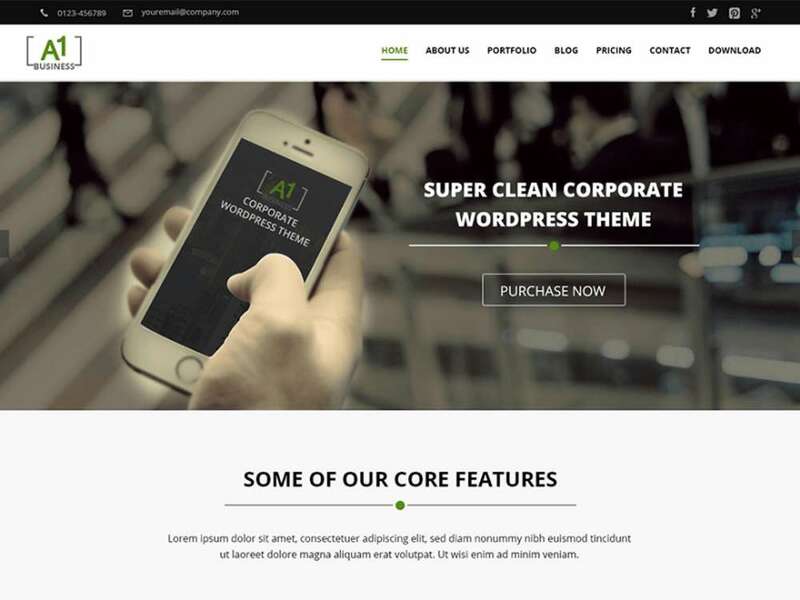 The theme is developed by WooThemes. The theme boasts of a responsive design layout and makes the website look presentable on all devices. 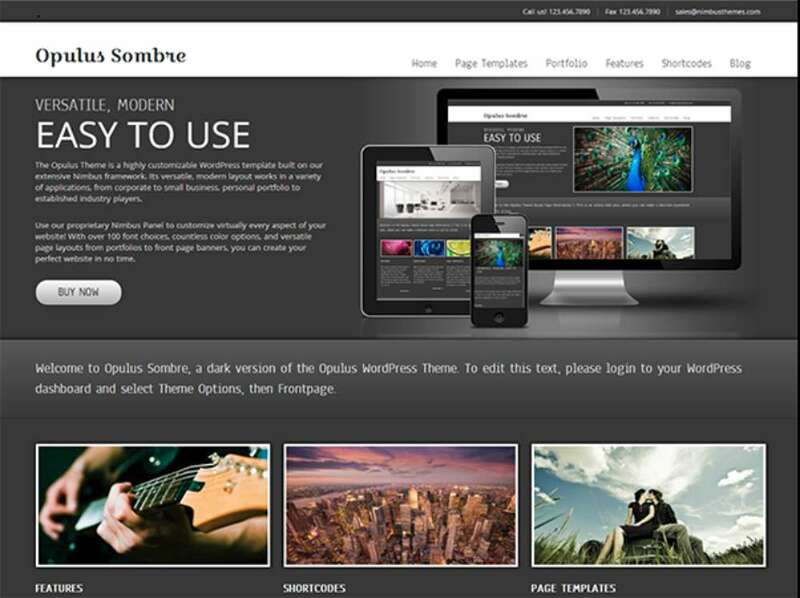 The theme also features CSS3/jQuery featured content slider. 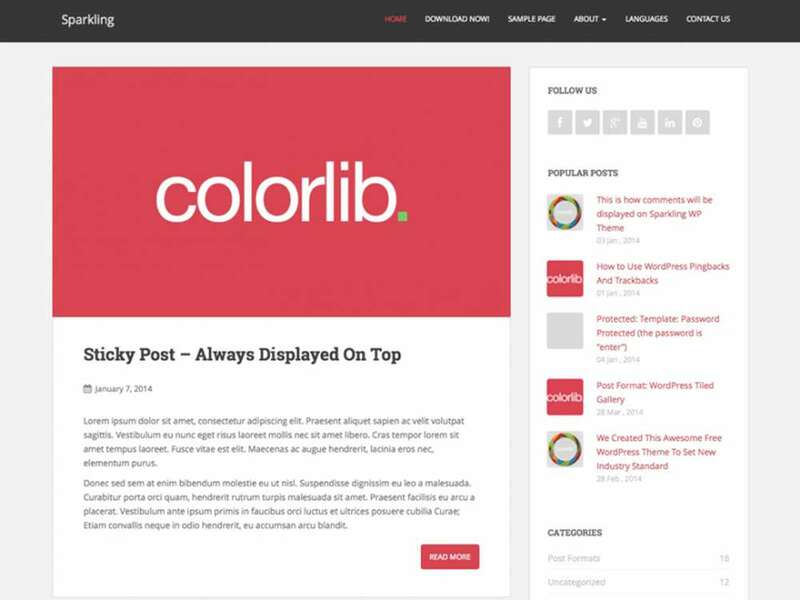 These are some of the most popular WordPress themes. Choose a theme as per your requirements and needs and make the most of WordPress. This guest article was written by, Emma Watson who is a passionate WordPress developer who likes sharing her knowledge about latest advancements in the world of web development. She has more than 5 years of experience in the field and is currently working at Wordsuccor Ltd. – a reputed WordPress Web Development Services. If you’re looking to hire WordPress developer, then Emma can prove to be an intelligent choice.